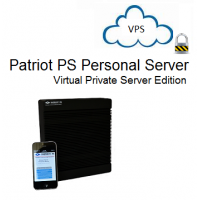 Not ready to own a Patriot PS Personal Server System yet ?! 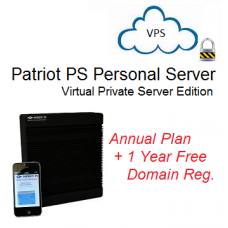 No worries, host a Virtual Private Server under your own complete control. With so low monthly cost, it is hard to say no ! . No long term contracts, cancel any time. We offer a range of configuration in terms of memory, storage and virtual CPUs. Host your own mail server, file server and more. - A cancellation charge of $25 will be deducted from the refund amount. 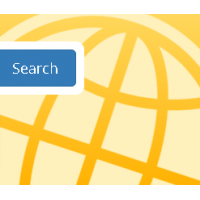 This product is bought and managed through our Hosting Portal at https://hosting.pexus.net . When you add this product to your cart or click on Order VPS button, you will be re-directed to https://hosting.pexus.net site. 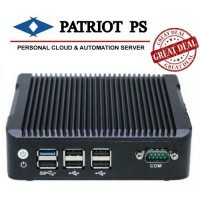 Patriot PS - Personal Server Your Server, Your Data, Your Terms! Pexus Patriot PS is a person..
A personal domain name opens up a lot of possibilities when using your Patriot PS Personal Server. 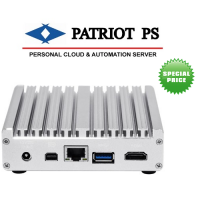 Y..
Not ready to own a Patriot PS Personal Server System yet ?! No worries, host a Virtual Private..